As a criminal defense attorney in Philadelphia, Pennsylvania, I know that most of our encounters with law enforcement are relatively benign, a traffic ticket or a slight fender-bender at most. When encounters with law enforcement become more serious, it can lead to an arrest. As you sit the in the rear of the patrol car, questions race through your mind; the most important being your rights during the arrest. During the arrest, it is important to remain calm and cooperate with the arresting officers. To reiterate, cooperate with the arresting officers. While this may be easier said than done, escalating the encounter can lead to additional charges. 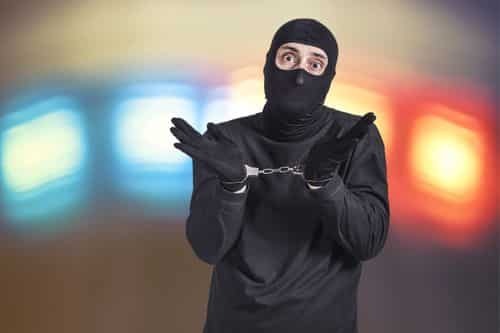 In this article, we will discuss your rights during and after an arrest, police searches and steps to take should you feel that your rights have been violated. What Are My Miranda Rights in Pennsylvania? Police officers are required to read you the Miranda Rights, also known as Miranda Warning, when making an arrest. Anyone being arrested has the right to not answer any questions asked of them while in police custody. In fact, I would encourage you to take full advantage of the right to remain silent. Because emotions are running high, people can only hurt themselves by talking to officers, and the officers know this. Police officers can and will try to get you to talk while in their custody in the hopes of gathering evidence against you. Simply not speaking is sufficient, however, it is recommended that you tell the officers you would like to exercise their right to remain silent. If you have been arrested, the police may have the limited right to search you and your belongings. This can include looking through your pockets, purse, or car if you were arrested in your car. However, they cannot expand the search to your home or workplace without a warrant. This does not cover anything an officer may see in plain view while in your home or workplace. For example, if a police officer is at your home investigating a theft and notices your meth lab, no warrant will be needed to arrest you. What Should I Do If I Think My Rights Were Violated? If you think your rights have been violated, above all, stay calm and do not try to fight the officers. A violation of your Miranda Rights can have a significant impact on your case and may even lead to a dismissal of any charges against you. It is important that you contact a criminal defense attorney as soon as possible. The Fishman Law Firm has the experience in defending against unlawful police searches, arrests and violations of Miranda Rights. Contact the Fishman Law Firm and take advantage of the free consultation.